One day I will make these into a blanket, and it will be huge. 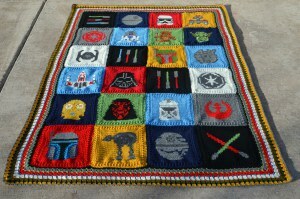 Thank you so much for your interest in my blanket! It was a labor of love and a joy to watch take shape. I hope, that if you choose to make one, you enjoy every moment of it and the joy it brings.